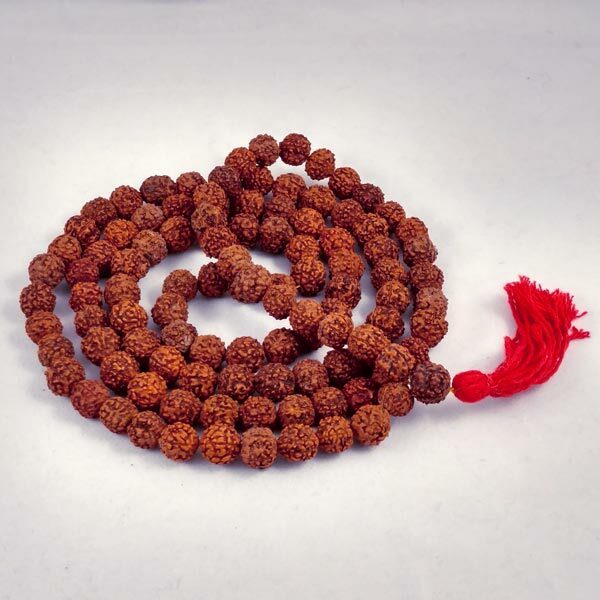 Rudraksha is a seed that is traditionally used for prayer beads in Hinduism. The seed is produced by a species of large, broad leafed evergreen trees. The beads in this one are each about 3/8" in size. The overall length is 48". Red cotton cord tassel and gift box. Learn about Mala / Prayer Beads here.